Get your “besties” on a group chat! Your wedding date is close and it’s time to party on the water before your Big Day! 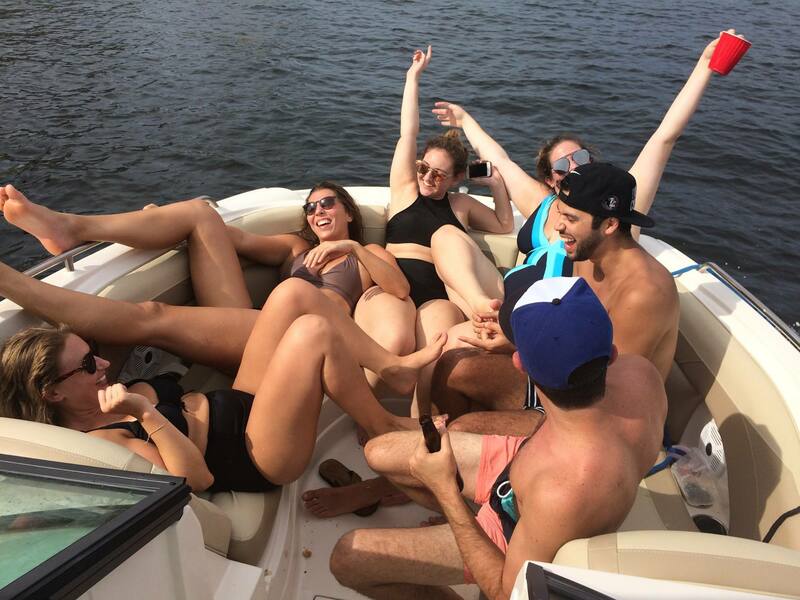 At RentalBoat.com, we are the top-ranked Bachelorette Party Boat Tour in Fort Lauderdale and Miami. Come aboard our beautiful boats and celebrate with the bride-to-be as your very own “Captain Fun” chauffeurs your Party down to the Haulover Sandbar or throughout the “Venice of America” in Fort Lauderdale, stopping at world-renowned restaurants and hotspots to keep the energy high. It is all up to you! It is our priority to provide your Party with the highest-level experience on the water. Once you book with us, we will reserve the boat for your day and start preparing for your Party. Your Captain Fun will be waiting with a sparkling, freshly-cleaned boat, cooler full of ice and your choice of music. The only thing you need to bring is food, drinks, bathing suits and a celebratory state of mind! It’s time to Party ion Paradise! We also include all the fuel in our flat-rate pricing. There are no hidden fees and no fuel surcharges. Please beware of our competitors as they not only upcharge the fuel, but they don’t take your Party as seriously as we do! Our Bachelorette Clients are extra-special to us, so be prepared to get preferential treatment and to be pampered…as well you should. 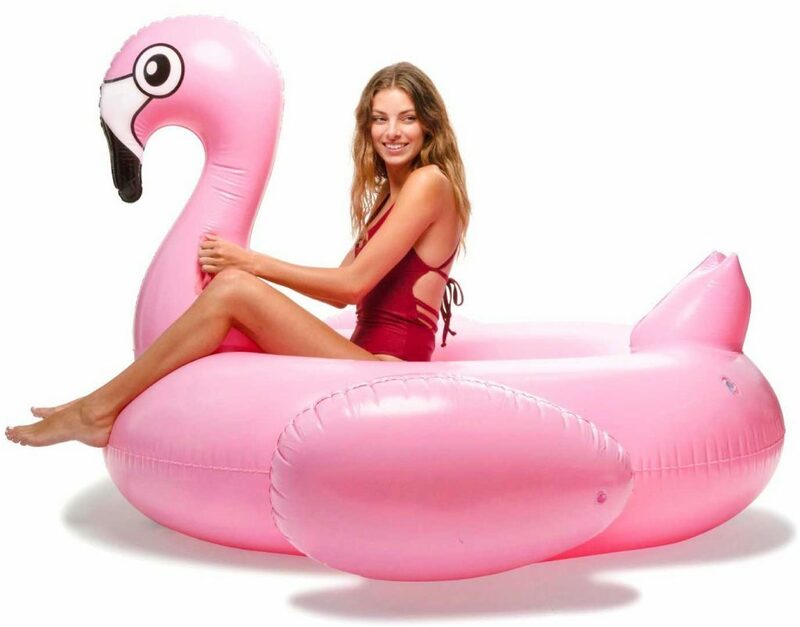 Oh and we provide those fun little floaties too! Please ask so we can have them ready to go when you get here. As mentioned, we have all-inclusive flat-rate pricing that includes Captain, Tax and Fuel. There are no hidden fees. You can bring up to 11 ladies on one boat. We offer Two experiences and, depending on whether you choose a half day or full day, will determine how much time you have to enjoy each experience. 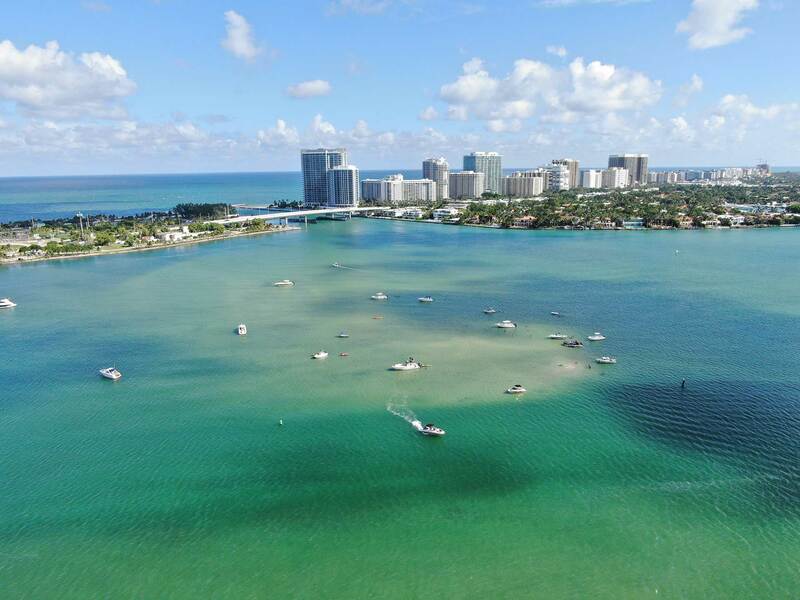 The Haulover Sandbar is known as a true party destination. Upon leaving our marina, your captain will play th music of your choice, open up the cooler and provide everyone with their drinks. As we cruise down the beautiful Intracoastal Waterway, throw a wave to the local boaters and see the amazing wildlife including dolphins. Also notice the million-dollar mansions and yachts to either side as you go. 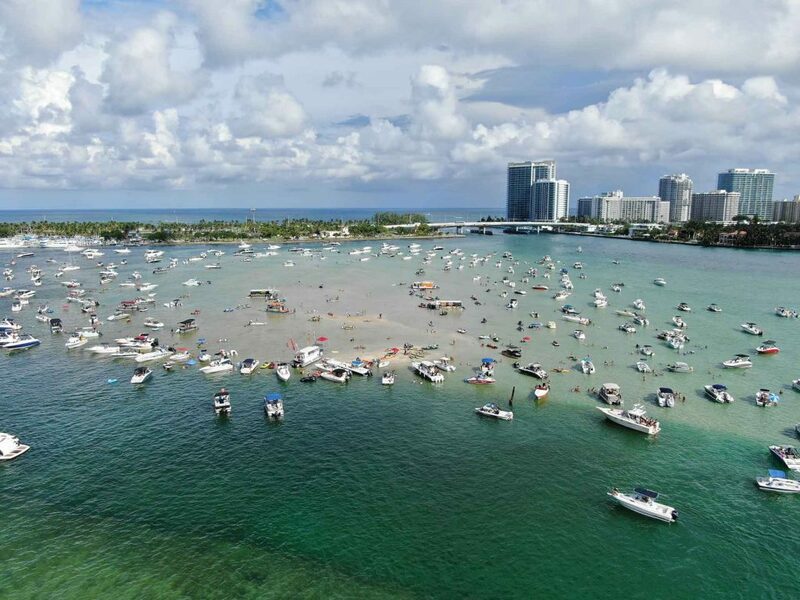 Shortly, you will arrive at the most amazing sandbar in the world: The Haulover Sandbar. Your captain will slowly motor into the party zone and drop anchor. You may get out of the boat and walk on the silky smooth sand and crystal clear waters. Or simply remain on board to enjoy the music with your best gals. The choice is always yours. The weekends offer a fun scene at the sandbar, while the weekdays are a bit quieter for those that like less of a crowd. 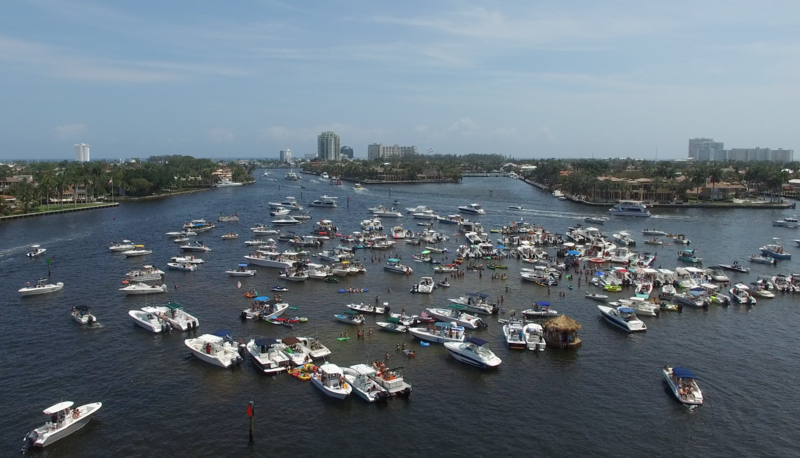 While the Sandbar in Fort Lauderdale is no slouch, the homes and yachts surrounding the area are what our guests really love. Jump on board and pop the champagne as we cruise throughout the renowned “Venice of the Americas”. The waterfront homes in the area are truly amazing and breathtaking. Hollywood Celebrities and Athletes live in these homes and your Captain will give you a beautiful guided tour. You can also stop at local waterfront restaurants where you can get out of the boat and enjoy a cocktail. Your captain will be waiting. As we cruise North into the heart of Fort Lauderdale, you will experience an area like never before. The Intracoastal waters are always calm and protected waters so you don’t have to worry about anyone getting sea-sick. Your captain is happy to take pictures to savor the moment and preserve it forever. Crack open the Coronas or your drink of choice and share stories as your best friend is about to experience the biggest day of her life. As your amazing day comes to an end, your Captain will pull up the anchor and head back to the marina. Sit back and relax in our comfortable boat as your get one last chance to soak it all in and make plans to enjoy the night on the town with your girls. Ask your captain one last time to take some video and photos so you can remember the day. Sorry fellas, no boys allowed – unless the bride says so of course. Call us for your next Bachelorette Boat Party on the water. We are the number 1 ranked in Fort Lauderdale and Miami. Our captains are extremely fun and professional.